We are multidimensional beings. We stretch on many layers that we might be unaware of. The physical world is just one layer in the interconnected string of realms that create The Universe and everything in it. The spiritual world is another layer that has higher vibration than the physical one. Both of them exist simultaneously and interact with each other. Dreaming is, in a way, exploration of consciousness across different realities and layers mediated through your mind. 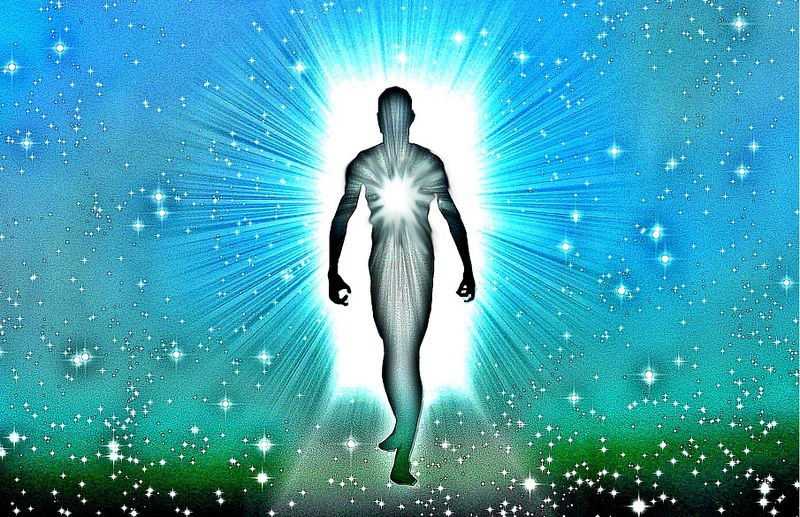 Your spirit exists on a higher layer, your mind is not physical either, yet they are a part of your being as well as your body, heart and soul. Each of them exist on a slightly higher or lower dimension and all of them are extensions of you. They interact with each other and create the reality you experience. Your spirit and your higher self communicate more frequently than you and your Spirit Guide. However, there are times when your spirit guides need to share something important with you. 1. In your alone time. Spirit guides know that when you are alone you have a great deal of attention span. The absence of other people or any distraction keep your mind quiet. When your mind is quiet and relaxed, it is easier for you to quickly notice the subtle energies or the change in the room’s temperature. Try to check your alone time whether it be late in the evening where everybody is asleep or in the early morning where everybody is still asleep. It’s the time when your mind is less occupied by chores, responsibilities or any mental chatter, and more open to higher dimensions when a Spirit Guide might contact you. 2. In your sleep or dream time. To see or converse with a departed loved one in one’s dream is a common experience. The dream could be so vivid as if your loved one is present with you. One of your spirit guides might contact you in your dream and appear as a subconscious message, a symbol, or speak to you through a person you would hear. You might suddenly awaken from your sleep surprised to find out that what took place was only a dream. Whenever a dream has some significance you will intuitively know. Your Spirit Guide is most likely to visit you in your dreams because that is the time when your mind can explore higher realities. 3. In moments when you need to make an important decision. Difficult times or moments when you need to make an important decision might signal your spirit guides that you need some gudance. You may be experiencing a transitional time or crisis, a spiritual renewal, a change in relationships, a letting go of something or at the time when you’re questioning your life. Whatever you go through has some effect on every layer you extend on. Whenever your spirit guides sense you need guidance they will try to contact you and guide you. Once you feel the heaviness to lighten up, or even get a mental clarity, it means they could be around, comforting you and guiding you. 4. Conversing with a loved one. Your spirit guides might contact you through a loved one. We speak to the people who we share deep connection with on a much deeper and higher level than anyone else. The love we have for them raises our vibration and theirs. Our spirit guides might use this connection to give us the guidance we need through conversation with these people close to us. They might feel they need to tell us something, and while we converse about a topic that might not even be related they will just share this message. Whenever they share such guidance you will know, the message will resonate with you and might perfectly apply to a decision you try to make.